Samus Aran helped a woman get back on her feet after a tragic family loss. When 25-year-old Michelle Perl lost her mother to cancer in 2007, she needed a source of inner-strength to help her change an ongoing unhealthy lifestyle. That source? Samus Aran from the Metroid series. At the time, Perl was overweight and suffered from low self-esteem. However, with the help of Samus, she was able to lose over 100 pounds and greatly improve her life. "I wanted to make a vow of personal improvement to my mother," she told Nintendo Power. "So I decided to target the one problem that had been causing me great distress for years: my weight." She covered her walls in Metroid paraphernalia to keep her "wheels spinning." She calls Samus Aran her "most powerful source of motivation" and believes the character to be an "ideal role model for many women to look up to as a powerful female icon." 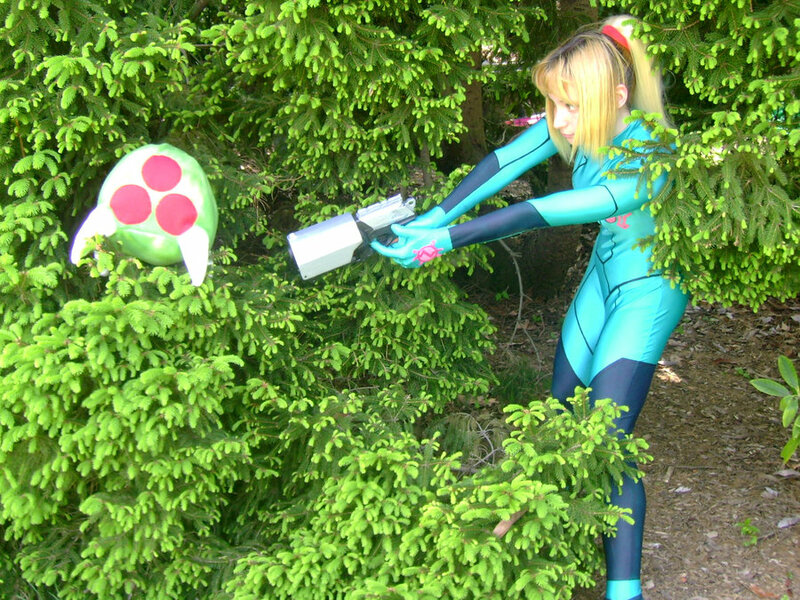 After Samus helped Perl get back her self-esteem, she paid tribute by creating two cosplay outfits. One is of Samus's look from Metroid: Zero Mission and Super Smash Bros. Brawl, where she uses a gun instead of her trademark arm cannon. The other is of the green-haired, pink-suited "Justin Bailey" Samus from the original Metroid. She has more pictures of her outfits on her DeviantArt page. Perl hopes that others will use her story to motivate themselves in unique ways. "Sometimes, even a fictional character is enough to give you a powerful dose of inner strength," she says. Her story is inspirational, but just make sure you don't choose to emulate a character like Dan or King Hippo. That might not end up quite as successfully.